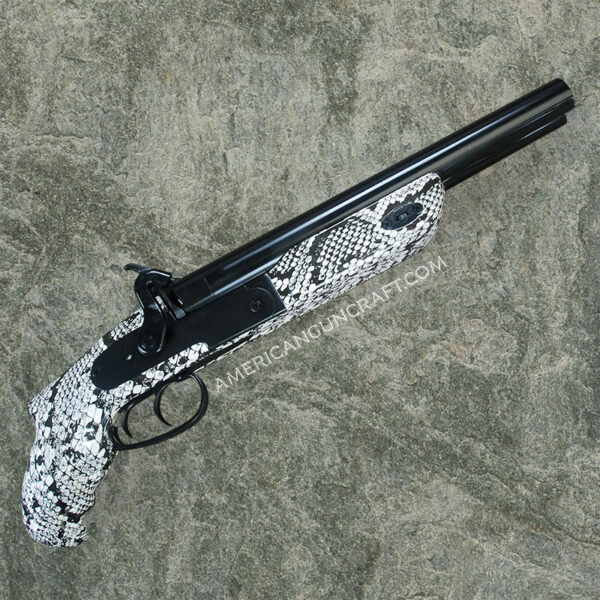 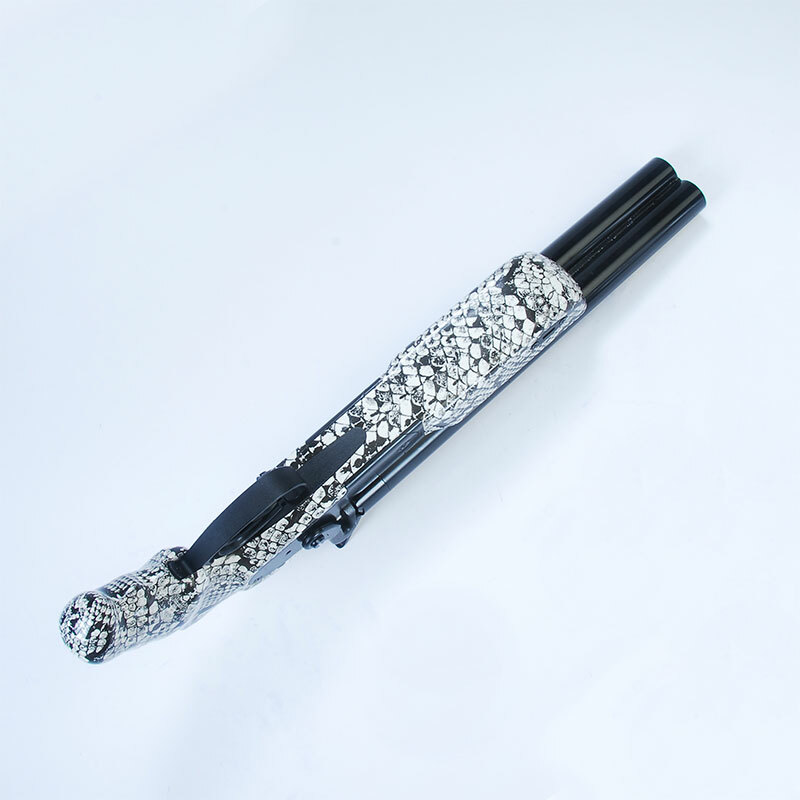 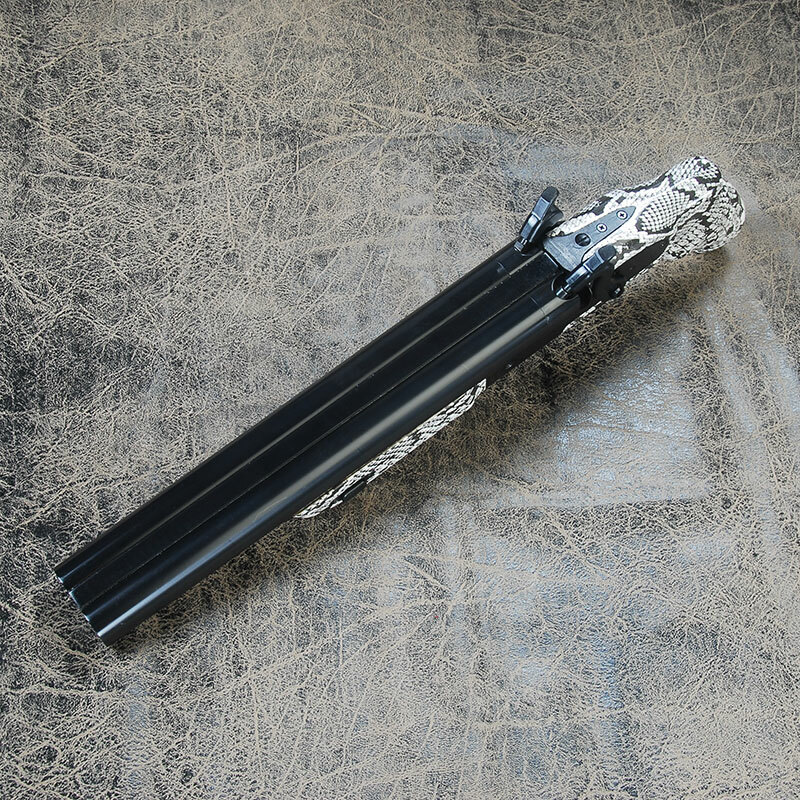 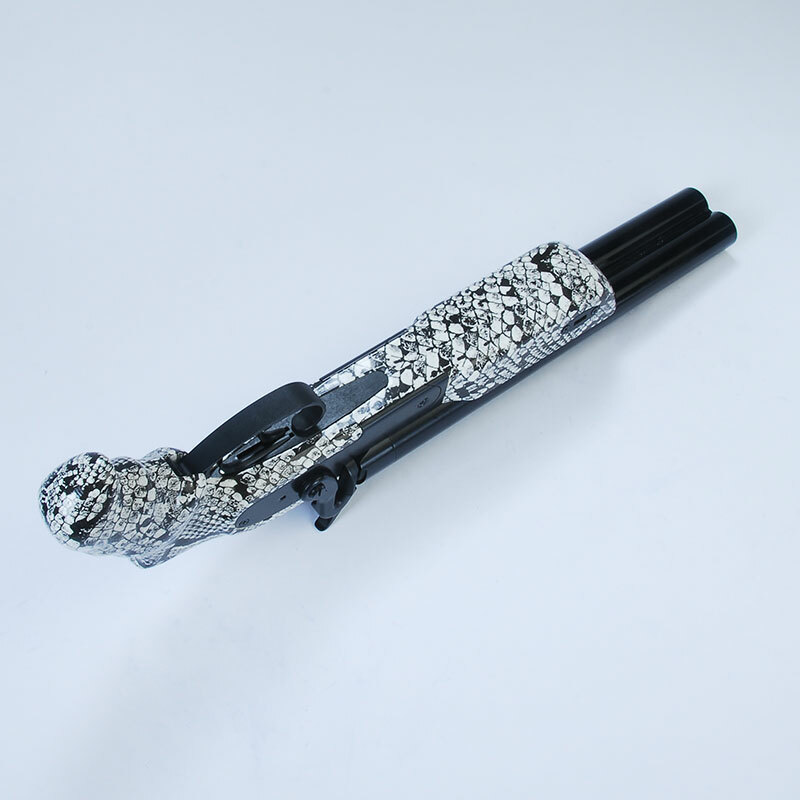 Compact 11” double barrel 12 Gauge with a short ergo style grip and lightweight stock. 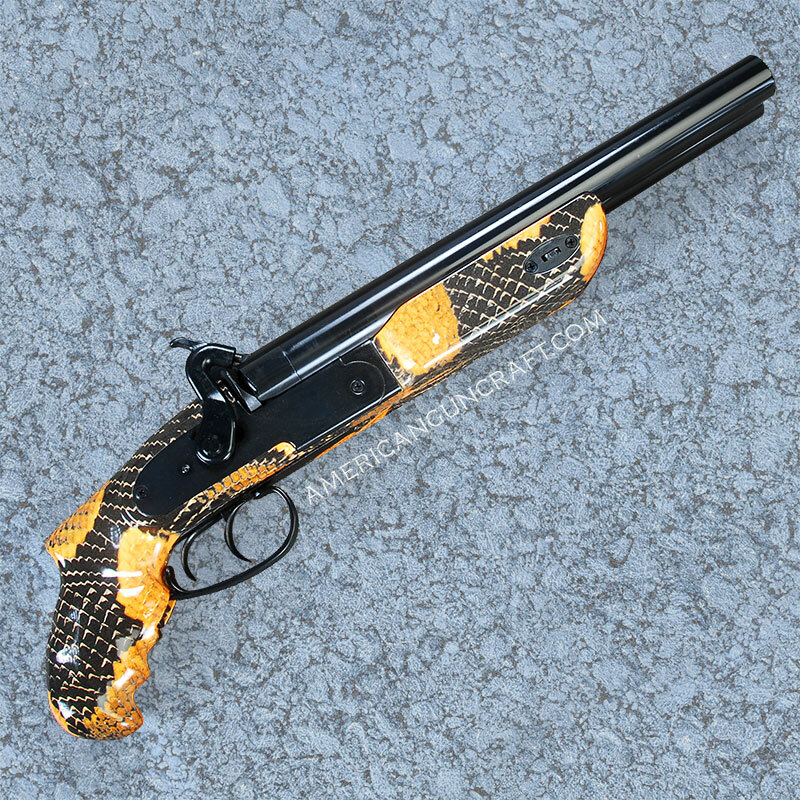 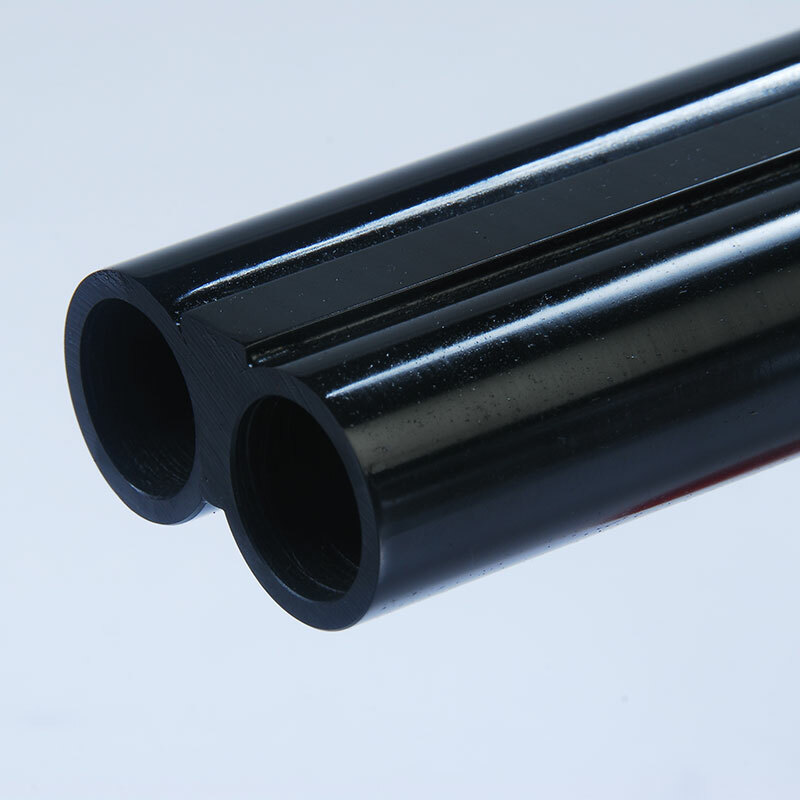 Easy to deploy in tight areas and packs a thunderous punch with two 12 Gauge shots. 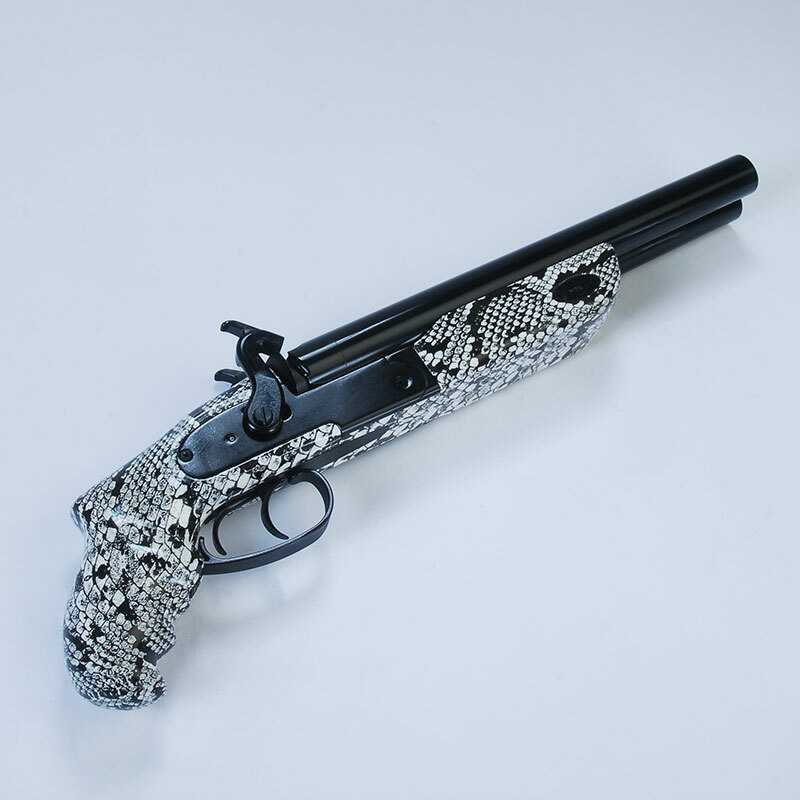 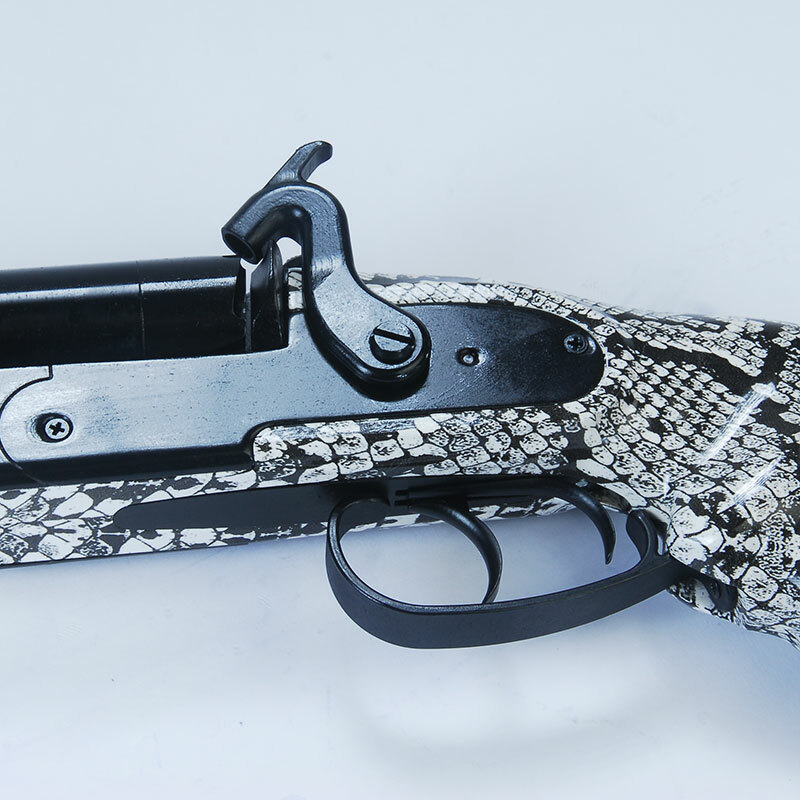 A 12 Gauge Double Barreled powerhouse, drawing from the design of the Howdah shotgun pistols as well as giving homage to the infamous Ithaca Auto & Burglar Double Barrel Smoothbore Pistol Introduced first in 1922. 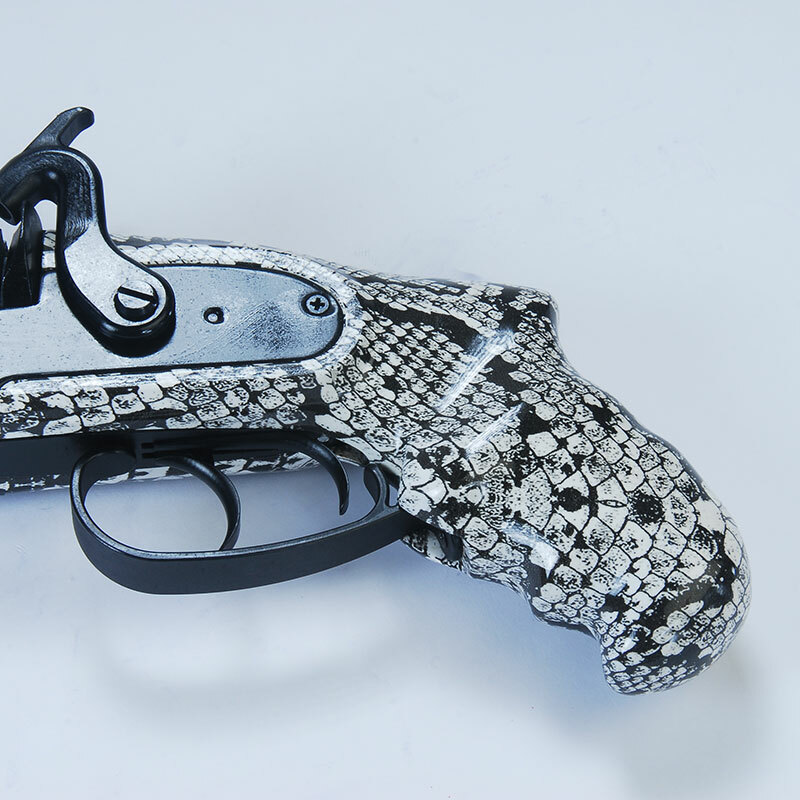 The Ithaca Auto & Burglar was to be soon outlawed (or at least highly regulated, it was essentially outlawed by the National Firearms Act of 1934). 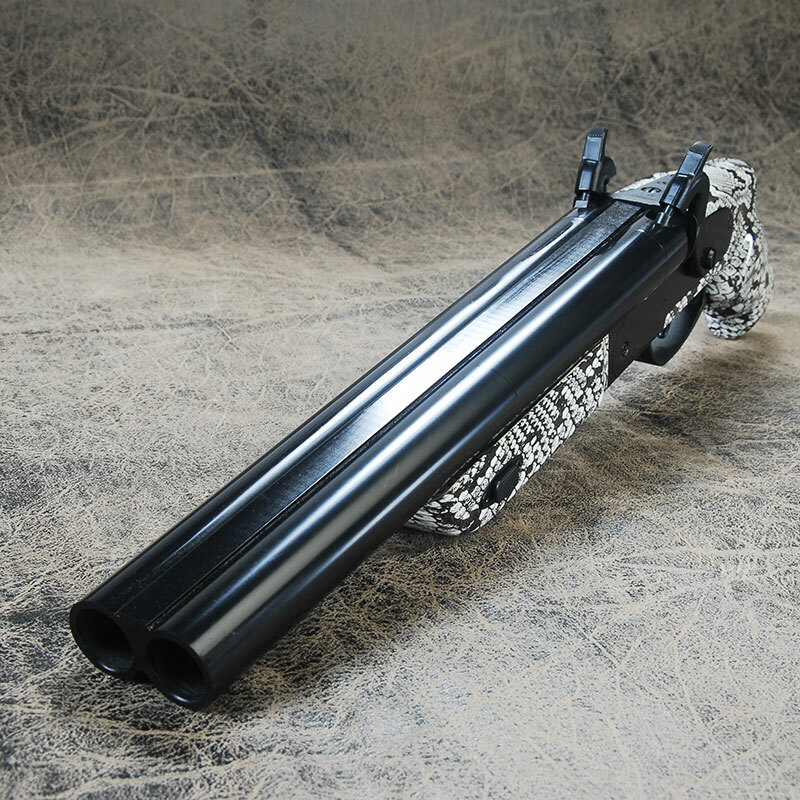 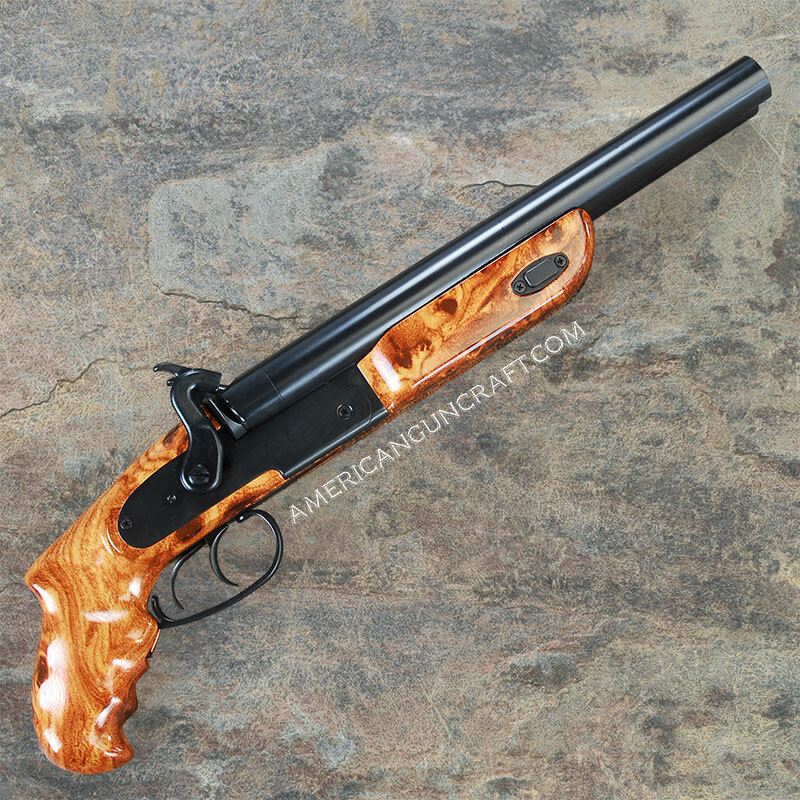 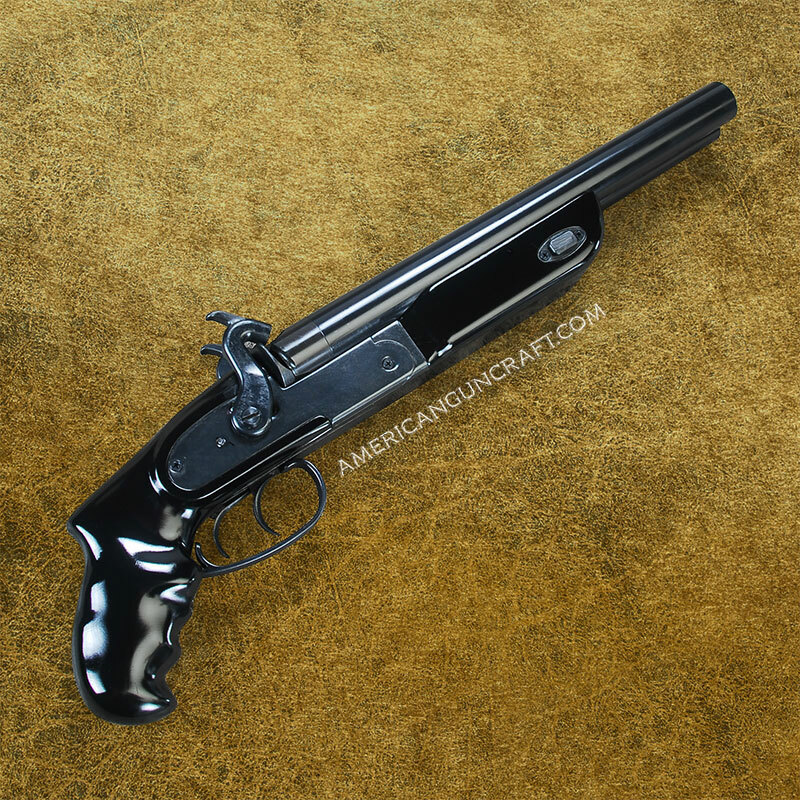 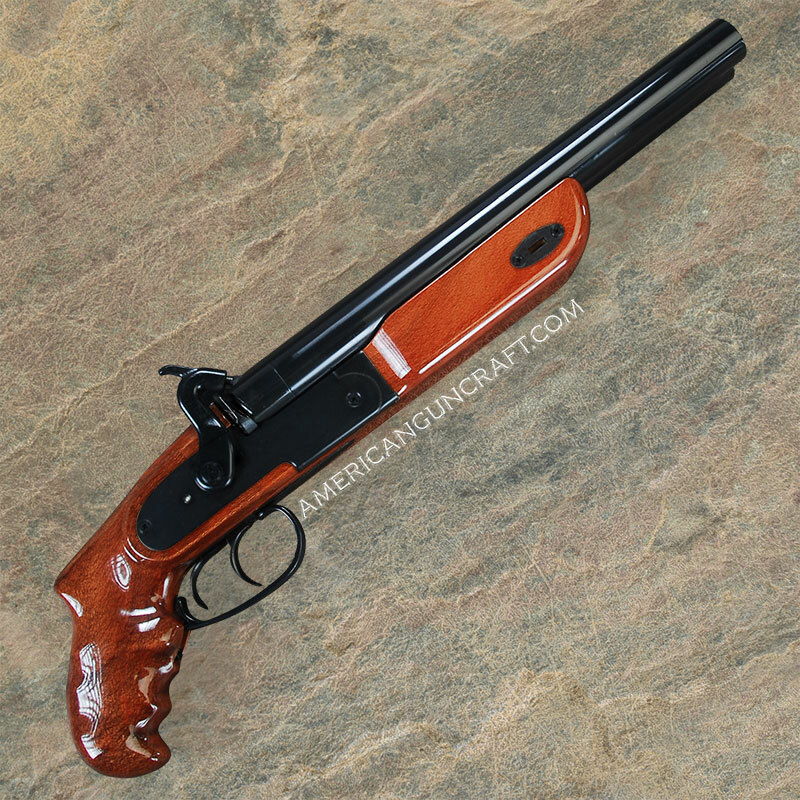 The Bulldog 12 is your legal-to-own answer for the modern sawed-off double barrel shotgun.